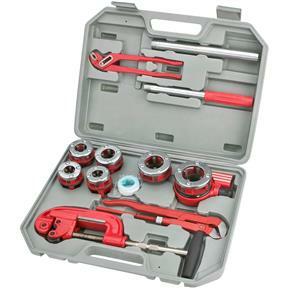 A dozen industrial quality plumbing and pipe threading tools ensure that your next plumbing job will go without a hitch. 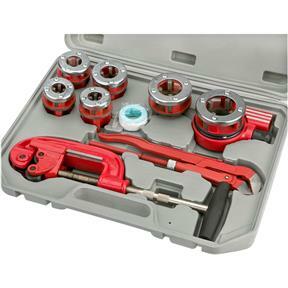 In addition to a pair of rugged adjustable wrenches and a heavy-duty pipe and tubing cutter, this complete kit includes a reversible ratcheting die handle and dies for 1/4", 3/8", 1/2", 3/4", 1" and 1-1/4" pipe. All are housed in a high-impact plastic carrying case. I have used this product and it is a great product. 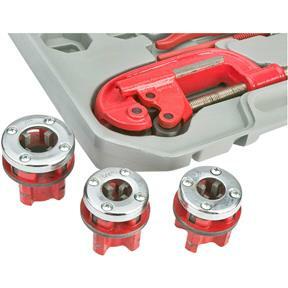 I purchased this product to thread pipe for various home improvement projects. Worked great. 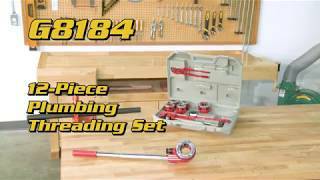 Bought this set to run gas line in my home, it did a fine job for me. Just take yiur time and keep it oiled. Plan to run air lines in new woodshop next. Its not rigid, but used properly and maintained it will last the occasional user a long time wthout breaking the bank.